Thirteen Hopes, Wishes & Resolutions for 2009! 1. Resolution: Okay, so my Dad got me a subscription to "The Economist" for Christmas. I admit that I have not read this magazine. So, my first resolution is to actually read every issue of this magazine that I get this year, and to become more knowledgeable about current events and the world in general. 2. Resolution: Well, while we're at it... read every issue of Entertainment Weekly, which I also have a subscription to. 3. Hope: I can't wait to see Obama take office, and I hope that he'll be successful in starting the transformation that this country so desperately needs. 4. Hope: I hope that Justin will get to work in a job that he really enjoys and that won't cause him the amount of stress that his work is currently causing him. 5. 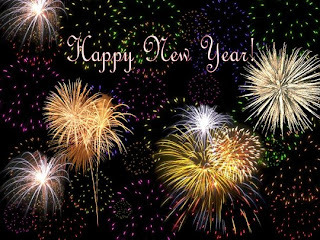 Wish: I wish for a less stressful year for everyone I know, I wish them good health and prosperity. 6. Resolution: I will get more exercise, I will use the gym membership my Mom got me at least 3 times a week. 7. Resolution: I will arrange for my Mom to watch Sam at least twice a month, on regular days, so that Justin and I can have scheduled date nights to look forward to and spend time nurturing our relationship and not just our family. 8. Hope: I hope to join the Kulshan Chorus so I can sing with my Mom. 9. Wish: I wish for some resolution to our housing situation, to figure out where we're going to be a little bit more long term than just six months, and to head towards settling down. 10. Hope: I hope that I will be able to find a job so that we'll be able to actually pay our bills! 11. Wish: I wish for happy and healthy pregnancies to continue for my friends Amy & Jamie! 12. Resolution: To sign Sam up for a class with me, maybe a music class where we can sing and dance. 13. Resolution: I'm going to renew my goal and up it by 2 - read 52 books in 2009! What are your wishes and hopes for the New Year? This is my sixth time doing the Thursday Thirteen - you should join us! The purpose of the meme is to get to know everyone who participates a little bit better every Thursday. Visiting fellow Thirteeners is encouraged! If you participate, leave the link to your Thirteen in others' comments. It’s easy, and fun! Trackbacks, pings, comment links accepted! By subscribing to the magazines rather than reading online, you are also supporting the economy. Great goals! Have a happy 2009! Wow, 52 books!??! That is great!! I don't think I'd make that goal....unless The Cat in the Hat counts? Here is to a fabulous 2009!